When your personal relationship or business arrangement changes, one way to ensure your personal safety and your assets are protected is to change your locks. Former personal and business partners may have keys to your home, car or business. If they are not happy about the change in the relationship, they can decide to enter your premises without permission and damage or remove items. This can compromise your personal safety or that of your employees. Don’t leave your safety or the security of your assets in the hands of an ex-partner. Contact a locksmith and change your locks immediately. A good locksmith Philadelphia can quickly change the locks on your home, business or automobile. This significantly reduces the chances your former partner can gain access to any of your property. The locksmith can simply re-key your locks or upgrade them to provide greater security. The process is simple and the person you removed from your business or your personal life does not even need to know the changes have been made. This eliminates the need to confront them and ask them to return your keys. That can be an uncomfortable conversation with a great deal of unnecessary questions and drama. In a matter of minutes the old locks can be replaced and the new ones installed. The average person will not even be aware that the change has been made. In just a few minutes the danger of an angry or vindictive former partner entering your property uninvited or unannounced can be eliminated. Change Your Locks. An experienced locksmith can have the entire job done in under an hour. Without disrupting your schedule, a good locksmith can eliminate a great deal of uncertainty and unwanted stress by quickly and easily installing new locks to which you will be able to control who has the keys. Many people hesitate to replace or upgrade the locks on their residential or commercial property because they think it will be too expensive. However, most of them are pleasantly surprised when they call a reputable locksmith and are told how affordable it is to get the job done. Plus, there is no price that you can put on your safety and peace of mind that is not worth it. Still, most reputable locksmiths can provide you with the services you need without wrecking your budget. With a few phone calls you can find a locksmith near you that can change your locks at an affordable price. 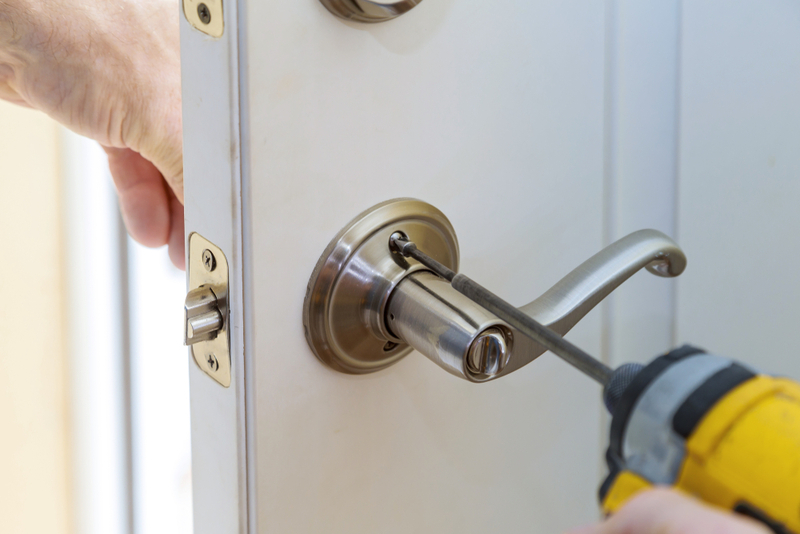 When it comes to quality locksmith service, experience matters. You should choose a locksmith with several years experience working with a wide array of locks and locking systems. You should also make sure their locksmiths are licensed, bonded and insured. This ensures you will be covered in case they accidentally do any damage to your locks or your property. You also want a locksmith you can trust to do the job right the first time and who will be there at the agreed upon time and have the tools, training, expertise and equipment to quickly efficiently change all the locks you want replaced. A company is only as good as the quality of their customer service. If they are difficult to reach or take a very long time to return your call or answer your questions, don’t hire them to replace your locks. You need a company that gives your call the attention it deserves. They must value you as a customer and see every job, big or small. As being important. The locksmith company should treat you with respect from the very first time you call. Answer you questions in a timely manner and let you know what you can expect when their locksmith arrives. Their focus should be on making sure you are safe, happy and satisfied. You don’t have to feel vulnerable because a business or personal relationship has ended. Take control of the situation by securing your property with new locks that enhance your personal safety and protect your assets.